I have a couple things to share with you – both quick and easy! A delicious, healthy dinner and a speedy (but sweaty) workout. While I usually prefer to get in the majority of my workouts in the early mornings, some days I find myself needing to get my legs moving after work or not having enough time in the mornings to get in everything in! If that’s the case, I usually opt for a cardio based workout like a cycling class, a run outside or some treadmill work. After work I also don’t usually like to commit as much time to a workout – I have important things to get to like dinner, wine, and Netflix! 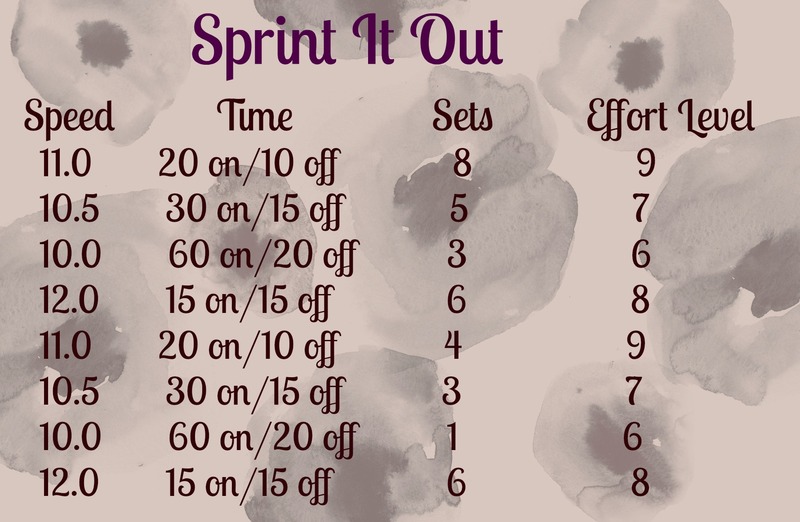 Here is a sample of a quick treadmill sprint set. This can be modified! In parenthesis I will rate on a scale of 1-10 (max) my effort. Adjust your speed to reflect effort. NOTE: I would recommend sticking to the prescribed number of sets and rest periods – though obviously you can make change to suit your preferences. Rest between work groups while you change speed – 20 to 60 seconds between each. And, because rest periods are so short I recommend simply jumping off the treadmill, resting with hands on handles and legs on either side of the moving tread during rest. If you aren’t used to jumping on and off a moving treadmill – start slow! And now to the good part! This is a really delicious and satisfying dinner that’s not only health but really easy to make. Especially after you’ve worked up an appetite on the treadmill. Prepare Herbed Butter: use a fork to combine chopped herbs and warm butter. Use back of the fork to smash herbs into butter until well combined. Prepare Salmon: With fish skin-side down, season with salt and pepper, to taste. Then, use back of fork to spread butter mixture onto fish. Set aside. Prepare Asparagus: Trim woody ends off asaparagus. Arrange on baking sheet and top with olive oil and spices and then toss to coat. 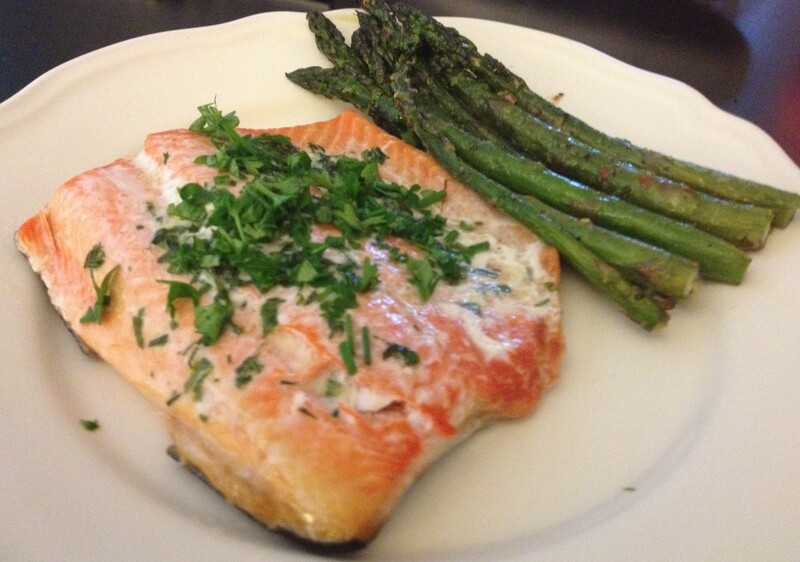 Cook: Fish & asparagus should take about the same amount of time, about 20 minutes. Fish is done when it has reached an internal temperature of 145 degrees. With salmon, as soon as you see some fat start to come through to the skin or the fish turns opaque, its done. Turn asparagus about half-way through cooking time. Cook to your preference, a little shorter if you like some crunch or longer for a more roasted flavor. Next Post Run With It!